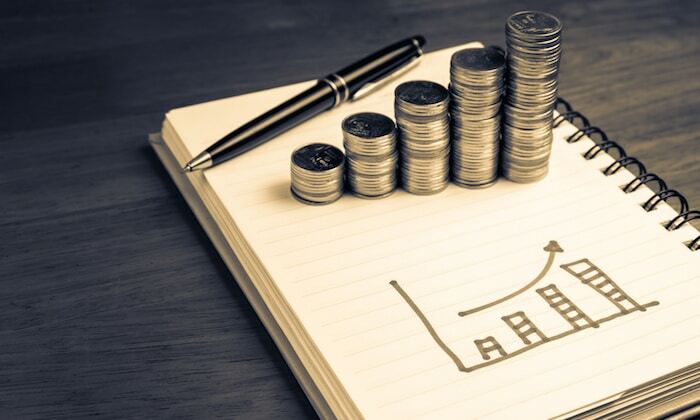 Do you know how to apply forex risk management so your losses feel like an “ant bite” to your account? Do you have the ability to trade any markets or timeframes, and not blow up your trading account? Do you know the secret to finding low-risk high reward trades? Then good luck to you. Today’s post is going to be one of the most important you’ll ever read. 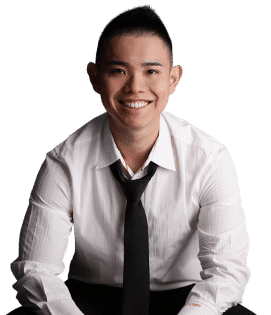 Because if you apply the forex risk management and position sizing strategies, I can guarantee you’ll never blow up another trading account — and you might even become a profitable trader. Forex risk management, what does it really mean? Risk management is the ability to contain your losses so you don’t lose your entire capital. It’s a technique that applies to anything involving probabilities like Poker, Blackjack, Horse betting, Sports betting and etc. If you have a $10,000 trading account, would you risk $5000 on each trade? Because it only takes 2 losses in a row and you’ll lose everything. And even a profitable trading strategy won’t save you. There are two traders, John and Sally. John is an aggressive trader and he risks 25% of his account on each trade. Sally is a conservative trader and she risks 1% of her account on each trade. Both adopt a trading strategy that wins 50% of the time with an average of 1:2 risk to reward. Over the next 8 trades, the outcomes are Lose Lose Lose Lose Lose Win Win Win Win. Risk management could be a deciding factor whether you’re a consistently profitable trader or, losing trader. Remember, you can have the best trading strategy in the world. But without proper risk management, you will still blow up your trading account. It’s not a question of if, but when. A technique that determines how many units you should trade to achieve your desired level of risk. And this is the closest thing you can get to the “holy grail”. Value per pip is the change to your P&L if price moves by 1 pip. To calculate this, you need three things: Currency of your trading account, the currency pair traded, and the number of units traded. Your trading account is in SGD. You long 100,000 units of it. If EUR/USD increases by 1 pip, what is the impact on your P&L (in SGD)? The EUR is the base currency and the USD is the quote currency. To determine the value per pip, look at the quote currency. If you’re long 100,000 units of EUR/USD, the value per pip is $10USD. The currency of your trading account is in SGD. Thus, look at the spot rate of USD/SGD. This means every 1 pip movement in EUR/USD is worth $14SGD to you. Your trading account is in USD and you long 500,000 units of EUR/GBP. If EUR/GBP moves by 1 pip, what is the impact on your P&L (in USD)? The EUR is the base currency and the GBP is the quote currency. If you’re long 500,000 units of EUR/GBP, the value per pip is $50GBP. The currency of your trading account is in USD. The quote currency is GBP. Thus, look at the spot rate of GBP/USD. This means every 1 pip movement in EUR/GBP is worth $62.5USD to you. Now to make your life easier, you can use a pip value calculator like this one from Investing.com. This means how much you’re risking on each trade (in terms of dollar value). I suggest risking not more than 1% of your account per trade. Why? Because you don’t want a few losses to put you in a steep drawdown, or wipe out your trading account. And not forgetting, you need proper risk management to survive long enough for your edge to play out. Let’s assume you have a $10,000 account. You’re risking 1% of your capital on each trade. This means you’ll not lose more than $100 per trade. Remember, the risk of ruin is not linear. This means the more money you lose, the harder it is to recover back your losses. The final ingredient is finding out what is the size of your stop loss (in terms of pips, or ticks if you’re trading stocks and futures). If you ask me, risk management and position sizing are two sides of the same coin. You can’t apply risk management without proper position sizing. You’ll learn how to calculate your position size for every trade, so you will never blow up another trading account. Let’s go! This means you can trade 5 micro lots on GBP/USD with a stop loss of 200 pips; the maximum loss on this trade is $100 (which is 1% of your trading account). Once you understand how position sizing works, you can apply it across all markets. This means you can manage your risk like a pro no matter what instruments you’re trading. You have a $50,000USD trading account and you’re risking 1% on each trade. How many shares of Mcdonalds do you buy so you risk only 1% of your trading account? This means you can trade 200 shares of Mcdonalds with a stop loss of 250 ticks. If it’s triggered, the loss on this trade is $500 (which is 1% of your trading account). Remember, when you’re trading stocks, the price can gap through your stop loss — causing you to lose more than you intended. This is a common occurrence during earnings season. MyFxBook – Position sizing calculator for forex traders. Daniels Trading – Position sizing calculator for futures traders. Investment U – Position sizing calculator for stock and options traders. 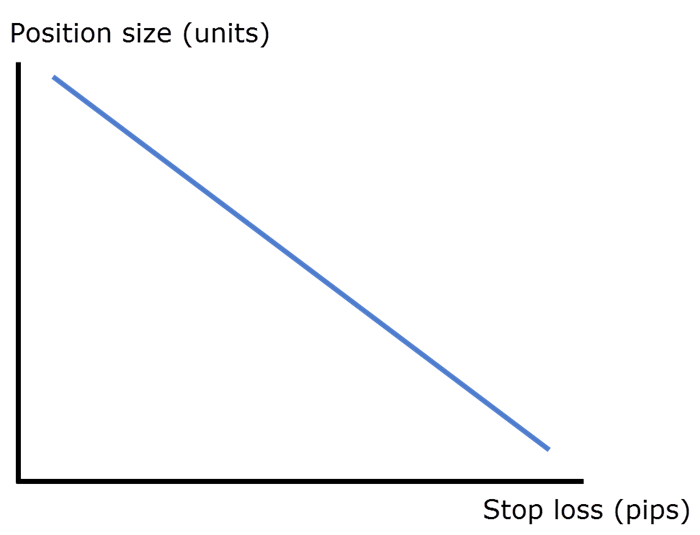 The larger the size of your stop loss, the smaller your position size (and vice versa). So, how many units can you short? For this trade, if the market moves 500 pips in your favor, you’ll gain $1000. But what if you can reduce your stop loss to 200 pips? For this trade, if the market moves 500 pips in your favor, you’ll gain $2500. The bottom line is this… a tighter stop loss allows you to put on a larger position size — for the same level of risk. So, how do you apply this concept to your trading? By being patient and letting the market come to your level. Both A & B have the same stop loss. The only difference is where you’re shorting the market — and this makes a huge difference to your bottom line. So, do you want to short A or B? If you are unfamiliar with the term leverage, it means how many times larger you can trade relative to your account size. So, if you have 1:100 leverage and your account size is $1000; this means you can trade up to $100,000 worth of the underlying instrument (like stocks, currencies, futures). I don’t bother about leverage. Why? Because it has zero relevance to your risk management. So, how many units can you trade? This represents $200,000 worth of EUR/USD, or in other words, a leverage of 1:2. What if your stop loss is 500 pips? This represents $20,000 worth of EUR/USD, or in other words, a leverage of 1:0.2. In both scenarios, the maximum loss on each trade is $1000, even though you’re using different leverages. Why? Because the leverage you use depends on the size of your stop loss. The smaller your stop loss, the more leverage you can use while keeping your risk constant. And the larger your stop loss, the less leverage you can use while keeping your risk constant. Don’t bother too much about leverage because it is largely irrelevant unless you don’t have a risk management and a stop loss method altogether. Instead, focus on how much you can lose per trade, and adopt the correct position size for it. I hope by now you realized that forex risk management is KING. Without it, even the best trading strategy will not make you a consistently profitable trader. Next, you’ve learned that forex risk management and position sizing are two sides of the same coin. With the correct position sizing, you can trade across any markets and still manage your risk. Then, you’ve learned how to find low risk and high reward trades. The secret is entering your trades near Support and Resistance. Because you can have a tighter stop loss, which lets you put on a larger position size — and still keep your risk constant. Lastly, I explained why leverage is irrelevant because it doesn’t help you manage your risk. The only thing that matters is proper position sizing that lets you risk a fraction of your trading capital. How do you apply forex risk management to your trading? Hi Rayner – great stuff here. I do some MT4 programming. I created a Trade Risk Calculator indicator for MT4 that does everything you outline above right on your MT4 chart, Settable risk by percent, pips to risk, pip value, etc. I would be willing to donate this to you to give out to folks that want it for free. Email me if you are interested and I’ll send it to you so you can have a look at it. Would you mind your sharing position sizing calculator with me? Thank you. You can use the one that I shared in this post. Awesome post Rayner. You have been lighting it up with awesome content this week, thank you! I don’t think this topic of risk management and position sizing gets enough discussion. I believe it’s actually much more important than entry/buy signals to long-term success in the markets. So thank your for doing such a good job putting all this together for us! Thank you and I’m glad you appreciate it. It’s a dry boring topic but, like you said, it’s one of the most important thing a trader can master. very good info, as always. Keep up the good work, and continue to be informative and educational. Great way to pay it forward. I’ve only been reading your stuff the past 3 days. I do like what I read in your articles ad responses. Very genuine. Good Job Rayner. Rayner you said it best Risk management is the golden key to trading. One cannot stress the importance of Position sizing. Myself after going through my account not paying attention to it I just decide to read about it, and boy did I learn a lot. if im on 2000gbp account my leverage is 1:200 what should I do? That’s right. Focus on the risk per trade, leverage is largely irrelevant. Nice post on position sizing and money management. In your experience, did you always start with a 1% risk exposure? I am currently figuring out whether it will be good to scale down my risk during bad streaks and scale up during good streaks. Also do you take equity off after every year or do you continue to trade with your ending account balance while maintaining the same % risk exposure? Thanks. I started with 2% initially but found it too much. Yes, it’s possible to scale down your risk when you’re not performing well. 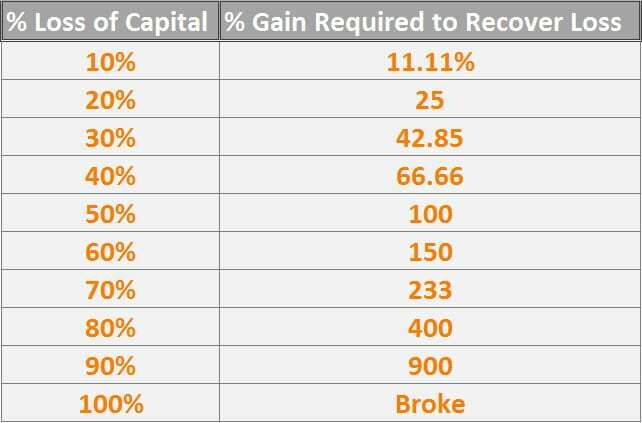 I don’t take my equity off but simply grow the account over time using the same % risk. Position size = 500 / (250*0.01) = 200 Shares! Thank you for pointing out. I’ve amended it. I enjoyed reading your articles and videos , and i am truly appreciative of your generosity to share among others. I would like to understand something abt stocks. Often, i heard people saying Buy stocks traditionally. Today, i can hear Sell stocks. How is this different from the traditional method of buy and owning a stock vs trading? Can you enlighten me? Thanks. I suppose buying stocks traditionally adopt a buy and hold approach whereas trading involves buying and selling within a short period of time. This is a position of 60% of your hole Trading Account. What if the company blows up. Sounds not good for me. What you do? So for Riskmanagement we have also to make Limits to the Max $Amount in a Position and Max Number of all Trades in the market and Max Risk of all Positions. I would decide where my stops is in the first place before deciding how much position size I’ll use. I didn’t come up with it. It’s default in the forex markets. Is it position sizing also must relevant to Risk:Reward and win:loss ratio? Why? The answer is yes and no. It depends on whether you’re taking into account the time element of it. Someone with 20 pips stop loss has a better chance of getting a 1:3 risk reward ratio in a day compared to someone with 200 pips stop loss. This means with a 20 pip stop loss you can put on a larger position size for the same level of risk compared to someone with 200 pips stop loss. As for win rate, it’s also yes and no because you need to take into consideration your target profit. The closer it is to your entry, the better your win rate. But whether it has a positive expectancy is a different story. As I trade, we know that we had to put a valid stop loss, mean each trade will have a different amount of pips to lose. Mean that we need to adjust the lot size each time we trade as well? How can we be sure by adjusting the position size for each trade will help to enhance profitability? Yes, for every trade you’ll need to adjust your position size accordingly as different pairs have different tick value, and different setups have different size of stop loss. There’s no way to tell for sure how it will improve profitability besides having the numbers to validate. But one thing for sure is if you don’t, you’ll have inconsistency in your trading. Your winners have too small position size, losers have too larger position size, and etc. Because your risk on each trade is not consistent. 1) if position size calculator tells us to take 0.05 lot in a trade, can we take 0.02 lot trade in that case to further lower down the risk? 1. Sure you can, it all depends on your own risk management. 2. No, as different markets have different volatility and your stops aren’t always fixed. In your first example, trading EUR/USD on a SGD account… The eventual return of the trade should factor in the evolution of the USD/SGD pair, right? I mean, if the EUR/USD wins 10 pips and in the meantime, the USD/SGD loses that many, you’ll break even, won’t you? Yes, that’s right. But it’s unlikely the USD/SGD moves that much to trigger a conversion loss when the EURUSD only moved 10 pips. So basically, you don’t care of that issue, whatever your account base currency and whatever the forex pair you trade? For trading futures, what account size would you need before you could trade futures risking 1%? I am looking at /RB setting up for a trade, but a 2ATR loss would cost over $1,000 for the stop loss. You would need an account size of over 100k to trade this product. Correct? Yes, you need a large account to trade futures usually in the 6 figure range. I suggest trading the spot fx or cfds as the margin requirements are lesser. OK. Thanks. One more question. You mention in other articles that you should be able to trade about 60 markets from these 5 sectors. 1. Agriculture commodities 2. Currencies 3. Equities 4. Rates 5. Non-Agriculture Commodities. Where do you get all of your products to trade if you can’t trade futures with a small account? You can use CFds to replicate the futures market. OK. Thanks. I will check that out. Have you ever traded spreads (calendars) with futures? Do you have a preferred broker or platform? I am in the US. Thanks, for all you do. Yes I have back in my prop days. Hey Rayner! I got a question! What if the recommended position size is 50shares but the normal boardlot requires at least 100 shares how do you overcome that problem? Do you buy oddlot then? Also regarding the leverage part, if the recommended position size is worth $200,000 and your trading account is just worth $10,000, how do you go over that? This represents $200,000 worth of EUR/USD, or in other words, a leverage of 1:20. You said that the Account size is 10,000 $ and your risk on each trade is 1% of the Balance. So, you should divide 100$ on (50 * 10) for the first example and 100$ on (500 * 10) for the second one, not 1000$. Thank you for pointing out, I’ve fixed it. You can use your balance. We are using position sizing to avoid loss of capital in loosing trades. But if the trade is winning trade then how to add more capital so we can get maximum out of it. I have some confusion , please help me to understand the position sizing concept. Suppose I have $100000 trading capital. I am risking 1% on each trade. As a trend follower I will trade every winning position till it is in trend. Position sizing is allowing me to take 10 to 15 trades with $100000/- capital. Is it necessary to take more trades to get more %return? If I took 5 trades from that 3 are winners and 2 are looser. Can you please explain as trend follower how to trade these 3 winners with $100000 capital. Yes I got it….thank you Rayner….. Thanks my mentor for the training and education. God bless you. Rayner, thank you so much for the article. It helps us a lot. When it comes to trading spreadsheet we can use Excel functions to calculate profit and loss if we are to enter pip value as an input. In this case should we use pip value of the closing moment of the trade to calculate profits or loss? Pip value changes from moment to moment and so to calculate P/L i feel we should get the pip value of the closing moment of the trade. Your pip value is defined by the currency you fund your account with and the currency pair you’re trading. It changes depending on the above 2 factors. I tried to used the Risk Management Calculator, but my question is that it seems it only allowed me to buy few stocks? I mean not enough volume to get huge gains? It might be your capital size is too small? Thanks Mr Rayner I have learned a lot. May the mighty God bless you for your work you’re doing in educating us.